The mission of Challenge Failure is to promote the prevention of Heart Failure by raising funds for research, encouraging healthy lifestyles, and increasing awareness through education and support for those diagnosed with Heart Failure and their families. Challenge Failure was conceived by Robin Boriack, whose late husband Marc suffered from heart failure for many years before passing away in 2010 at the age of 52. Rather than surrender to the grief arising from his untimely death, the Boriack Family was struck with a special vision: to honor Marc’s life by helping others find hope and new life by supporting heart failure research. This vision became reality when the first annual Challenge Failure 5K & 10K Walk/Run was held in March 2011. Since its inaugural event, Challenge Failure has grown and touched the lives of many. Challenge Heart Failure one step at a time! Thank you! Please be sure to check your inbox and confirm your email. Emily Reisinger is a Physician Assistant in Cardiothoracic Surgery. She graduated from the University of San Diego with Bachelors in Accounting and a Masters in Accounting and Financial Management. After working at KPMG in New York City, she moved back to California to be near her father who had been diagnosed with Heart Failure. She then went on to Physician Assistant School at the University of California at Davis, School of Medicine. Challenge Failure affords her the ability to combine her career and passion to inspire others to lead healthy lifestyles. Tina Brodston has been employed by the Grupe Company as a Senior Sales Manager since 2001. She is married to Emil Brodston and they have a 14 year old daughter, Isabella. Tina has held key roles in Challenge Failure since its inception, most notably in sponsorships and social media marketing. In her free time she volunteers at church and her daughter’s school. She recently completed her first half marathon–the Nike half in San Francisco–and likes vacationing, camping and boating with her extended family. Elizabeth Milbauer is a United States Navy Veteran and recently graduated from California State University, Sacramento with a B.S. in Accountancy. After 4 years in Aviation Administration with the US Navy, she went back to school to get her degree. She also received an Associate degree in Business Administration. She is a member of the Accounting Society and Golden Key Honour Society. Outside of school, she is an active member in the Veteran community and maintains an active lifestyle, completing her first half marathon in October 2015. Steven Boriack is a Publicity Manager at Flatiron Books in New York City. After graduating from Auburn University he moved to New York to pursue a career in publishing and found a passion for public relations, previously holding positions at Random House and HarperCollins. An active member in the community, Steven has been an integral part of various clubs and organizations as both an active member and officer. He is currently training for the New York City Marathon in November, his first. Robin Boriack, along with her family, is the Founder of Challenge Failure. Her passion has been to spread awareness and raise research funds to combat Congestive Heart Failure. She is the widow of Marc Boriack and is dedicated to preserving his memory by helping others learn to live and thrive with heart disease. She is a mother and grandmother and hopes that her work with Challenge Failure will prevent others from suffering the loss of a loved one due to Heart Failure. She also volunteers regularly at her church and participates in multiple 5Ks, 10Ks, and half marathons. was born on April 25, 1957, the third child of Ted and Vera Boriack. He was a 1975 graduate of Lodi High School where he loved photography and worked on The Flame newspaper and Yearbook. Following high school, Marc joined the US Army where he served 7 active years and 4 reserve years in the United States and Germany. Following his military service, he was the general manager of a local Taco Bell franchise and along with his wife Robin, owned and operated five Subway Sandwich shops. Marc later went to work for Pilot Oil and finally Flying J Travel Plazas. He helped open the Lodi location for Flying J and always loved his role of manager that enabled him to work with so many different employees. Marc was an active member of St. Peter Lutheran Church in Lodi where he served as an Elder. He found great joy in helping serve communion in church, preaching at Arbor Convalescent Hospital, and serving as the church advisor to Boy Scout Troop 291. He was also a proud member of Disabled American Veterans (DAV). To his children he said, “Call me DAVE” (Disabled American Veteran Elder). There was nothing more important to Marc than family. He was happiest when he was surrounded by his many family members, including Robin, his wife of 29 years; his children Tina, Kim, Emily, Steven, and Elizabeth; and his granddaughter Isabella. Marc was a joker and a kid at heart. He loved to play around with his kids and embarrass them, frequently by singing loudly in public places. 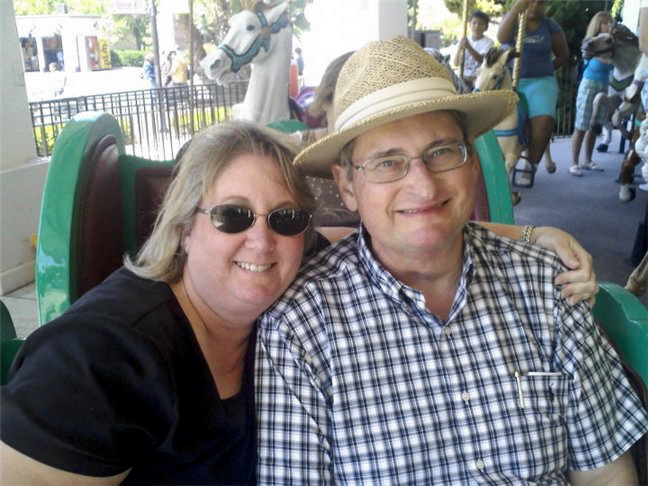 In 2008, Marc was diagnosed with Congestive Heart Failure. 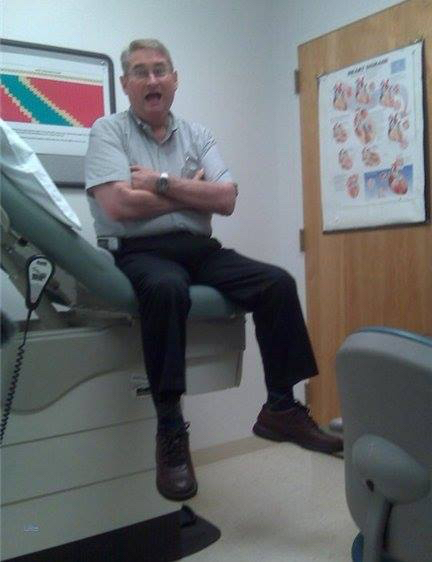 He spent the next 2 years in and out of the hospital, but mostly in. His children remember a time when he was in the ICU for 4 straight months. They would visit and play games or help him wash his hair, leaving it in sweet Mohawk styles. The family would describe this time as a roller coaster ride, as Marc’s prognosis would change so drastically from day to day. Through it all they tried to stay positive and focus on the good. Sadly, Marc’s life ended all too early. He passed away in his home on March 1st, 2010. Marc was only 52 years old. He has since missed the marriage of three of his daughters; the college graduation of his son; and the addition of his grandsons, Kincade, Logan, Derek, and Elliot. treatment they need to live longer and healthier lives. Subscribe to our newsletter and help us challenge heart failure one step at a time!